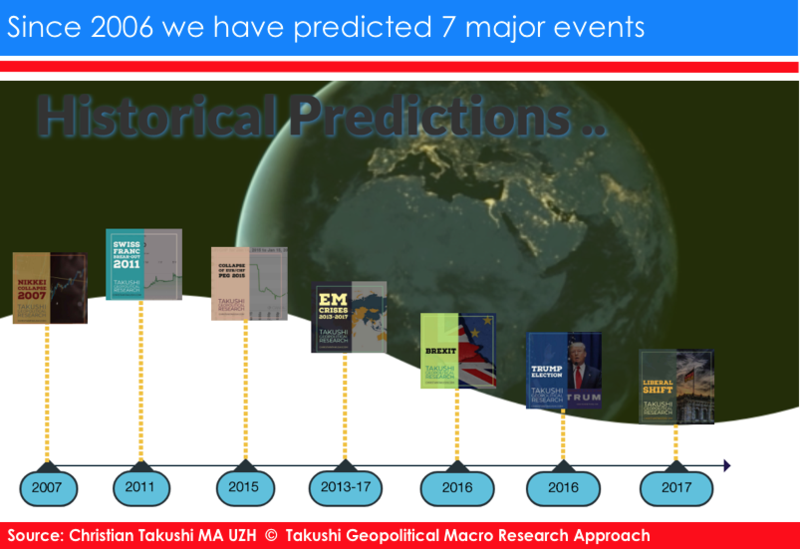 By Christian Takushi MA UZH, Macro Economist & Geopolitical Strategist. 22 March 2019 – Switzerland (truncated for public release on 24 Mar 2019). Our assessment is deviating from consensus on multiple fronts. This has been building over 3 weeks. Today we focus on the one area with the biggest delta – more updates in the near future are likely. We have promised to write only when we deviate from consensus – on issues consensus is underestimating. It is our endeavour to watch decision makers’ blind side. According to our analysis, China and the USA have struck a deal already. Part of it will remain secret, part of it will be aired soon. China will purchase massive amounts of US goods in return for some limited curbs on State Control of strategic companies plus IP improvements. The deal effectively postpones the inexorable clash between these two global powers, and allows Beijing and Washington to co-exist over the next few years. It will allow Washington to deal head-on with the Brussels-Paris-Berlin defiance. An Israeli tank makes a brief pause in the Sinai in June 1967: 200 relict WW2 Israeli tanks would obliterate the formidable Egyptian Tank Divisions in 4 days. Then the Syrian Army. This coming week Prime Minister Netanyahu will travel to Washington, and we expect that the United States will formally recognise the Golan Heights as Israeli-controlled territory. We have monitored unprecedented activity at the US State Department and it is clear that the State Department has concluded it is time to move away from the “Israeli-occupied” term that the United Nations has promoted since the 6-Day War in 1967. During that war the drummed up Arab invasion of Israel ended in a disaster for Syria, Egypt and Jordan. Syria lost the Golan Heights from which it had shelled the Lake of Galilee for years. At the end of that war, Israel (fighting for her very survival) seized the Sinai desert, the Golan and the West Bank. The West Bank comprises what once formed the heart of the Kingdom of Judah (ancient and biblical Israel). This is what feeds the emotional ties of many Jews to what the international community has come to call the West Bank. 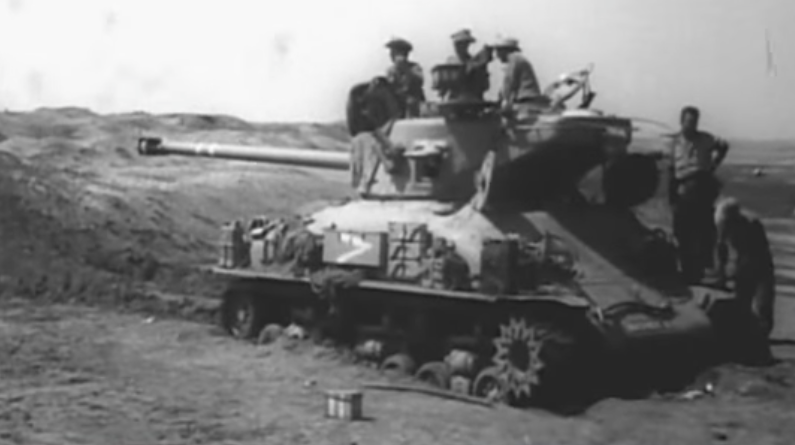 Britain created today’s Jordan during WWI, which captured the West Bank during the 1948-49 Arab-Israeli war, but later lost it to the Israeli army in the 6-Day War. Both Israelis and Palestinians claim ancestral ties to the territories west of the Jordan river. Although Israel claims that one of the 12 tribes lived in the Golan in ancient times, the main reason for keeping the Golan is strategic security. With today’s weapons in the hands of Iranian troops in Syria and without control of the Golan, Israel would experience an existential threat. Thus, Israel could possibly give up parts of ancient Samaria & Judea (West Bank), but it cannot give up the Golan. The Golan controls all of Northern Israel. The new term Israeli-controlled Golan sets the direction for the Peace Talks. Zionist hardliners won’t give up any of the West Bank to Palestine, but I ascertain this is what President Trump will demand of Israel. President Trump is giving something to Israel to help secure its existence, but it is hinting at the sacrifice ahead. Netanyahu has to reach out to moderate liberals in order to compensate for the inevitable loss of hardliners. I expect this to begin in Washington. Western powers urged Israel to give back those sized territories in exchange for Peace Treaties with Arab states. Israel was and is still divided on the issue: Some preferred to return those strategic buffers in the hope for Arab recognition and peace. Others were bewildered Israel should give back land that belonged to ancient Israel and that they had won in battle. They complained the designation “occupied” was misleading, as Israel won those territories in a war of self-defence. Initially, Israelis chose to trade land for peace: returning the Sinai. 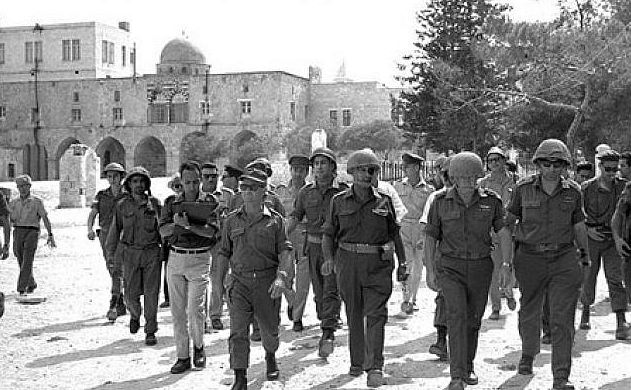 But the surprise invasion by Arab armies in 1973 (Yom Kippur War) drastically reduced Israel’s desire to give back what they had earned in the battle fields. Not only that, the arrival of modern warfare and powerful missiles made the need for a defensive buffer even more necessary than before. Today, Iran and other states have thousands of missiles that aim at Israel and Saudi Arabia – They are amassed in Lebanon, Gaza, Syria, Iran, Iraq and Yemen. As Israel grew more distrustful of Arab peace offers and focused on developing the controlled territories, the country entered an unprecedented period of economic growth. That is why many within official Israel favour the keeping of the current status quo. The most likely area of compromise is this: Security stays in Israeli hands, but land is granted to the Palestinian Authority to form a nation state. The new US doctrine for the Middle East: “to accept facts on the ground (rather than to impose new ones)”, will not be accepted by many nations. Having said that those opposed to the overly pragmatic US course, are themselves very divided or weak. Syria and Iraq are decimated by wars and to a large extent controlled by Iran; Shia and Sunni states are in the midst of a bitter global conflict; the EU is divided (Eastern European states are angry the EU took sides in the Shia-Sunni conflict); Russia has stretched her military resources; and the pullout of the US military from the Middle East has given Turkey increased influence. To make things worse for the Palestinian Administration, many Sunni-Arab states have sought Israel’s protection (nuclear shield) against an impending Iranian attack. We ascertain that Turkey, not Iran, will be the greatest challenge for Israel in the future. The overwhelming number of experts stated a year ago that the new US course (accepting the facts on the ground: recognising Jerusalem as capital of Israel, moving the US embassy to Jerusalem) would annihilate the Peace Process. We disagreed with consensus from the beginning – and the facts show a year later that the Palestinian side is indeed still open for negotiations. We keep the assessment from December 2017 that ironically, the new US course may bring both sides closer to a Peace Treaty. Why? US and geopolitical shifts will force both, Palestinians and Israelis, to make some concessions. Closer relations between Israel and some once staunch Palestine-supporting Arab states may have weakened the PA position. But we foresee the inevitable US pull-out from the Middle East (we believe CentCom has concluded beyond reasonable doubt that the Middle East is destabilising inexorably) will increase the already powerful position of Turkey in the region. Israel has miscalculated: understandably obsessed with Iran, Israel has underestimated the real key player in the region: Turkey. Ankara has outsmarted Jerusalem on several fronts. We go one step further, we ascertain that the almost unconditional US military support for Israel will weaken in the future. The security of Israel is likely to deteriorate in the foreseeable future. Nevertheless, in the short term Israel may be isolated, but it knows who is on her side: the USA, Brazil, Romania, Honduras, Australia etc. This may not seem to be a long list of nations, but most nations have barely any ally they can fully trust these days. No one fully trusts anyone. In contrast to consensus, we think that both – war and peace deal – are coming. But this peace will be elusive. The upcoming wars and disruptions in the Middle East will send shock waves. Western Europe will be by far the most affected economic region, followed by China – Western Europe’s economy highly depends on those trading routes, but she did nothing to protect them (the EU even dismantled her military). Europe took the US-security of the trading routes for granted. The Security of Western Europe is eroding at the fastest pace since the 1936-1938 period. I still can’t believe the EU overlooked how much she depends on Britain for her future security, the security of her trading routes and her geopolitical influence. Sadly, EU leaders seem to be ill-advised. Seldom have we witnessed European leaders making one strategic mistake after the other! It is indeed reminiscent of the late 1930’s.